Going out is overrated! 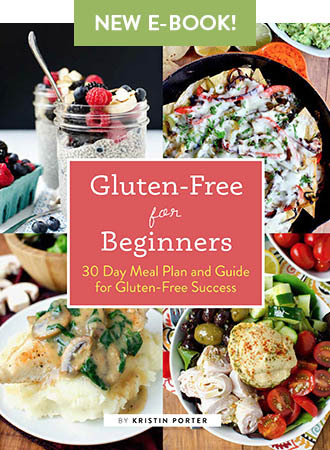 Tuck in at home with any of these gluten-free cocktail, dinner or dessert recipes that are perfect for Valentine’s Day. The fact that we’ve got another snow storm on the way (is it summer yet? ), Ben and I have 40 kids, and our babysitter aka my parents are unavailable this week, means we’re stayin’ in this Valentine’s Day! I don’t know if there’s been a better year to do it. We’ll put the kids to bed early, turn on a fire (and a blind eye to the snow) and get to cookin’…or rather, Ben will. One of the most popular things I’m asked when meeting new people who read the blog is, “does Ben cook?” to which I reply, “DOES HE!! 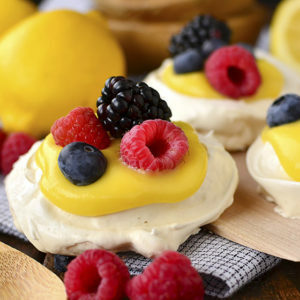 !” That is to say, Ben’s not only a terrific chef, but he loves to do it and usually takes the reins on whipping up our special occasion dinners. Friends, if you’re lucky enough to find yourself a man who cooks while you watch trashy television on the couch with a cocktail in hand, you’re lucky enough. Ok, enough of the mushy stuff. 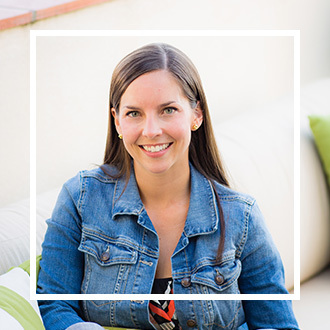 Let’s talk chocolate, steak, and cocktails, oh my! 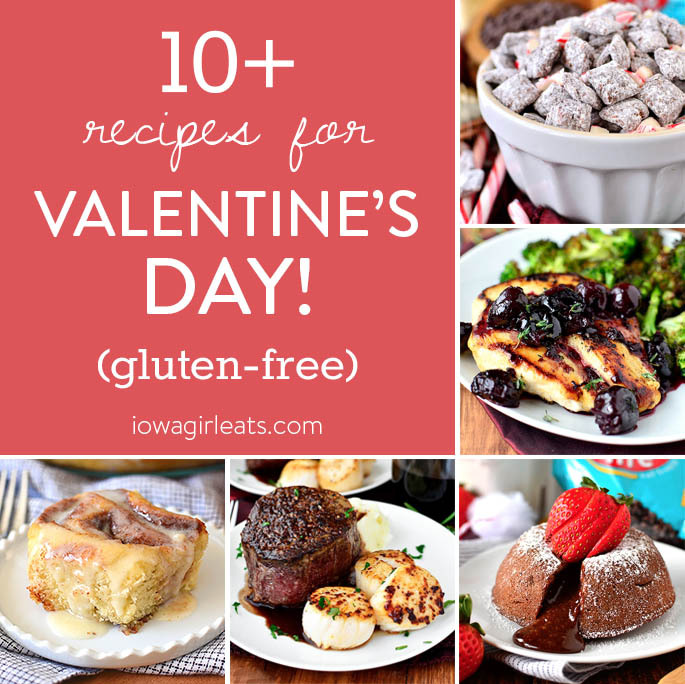 In case you find yourself in a similar situation this Valentine’s Day – staying in with a spouse, partner, friend, neighbor, cat or “it’s complicated” instead of venturing out – I’m sharing 10 of my most romantic, decadent, and delicious dishes that are not only gluten-free, but perfect for the holiday. We’ll most likely go the Surf and Turf for 2 route this year, with Chocolate-Peanut Butter Lava Cakes for dessert and Chocolate-Peppermint Puppy Chow as a special treat for the boys. 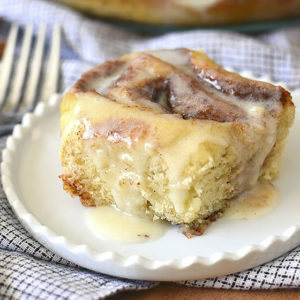 Do you have any fun Valentine’s Day traditions or recipes you find yourself making year after year? 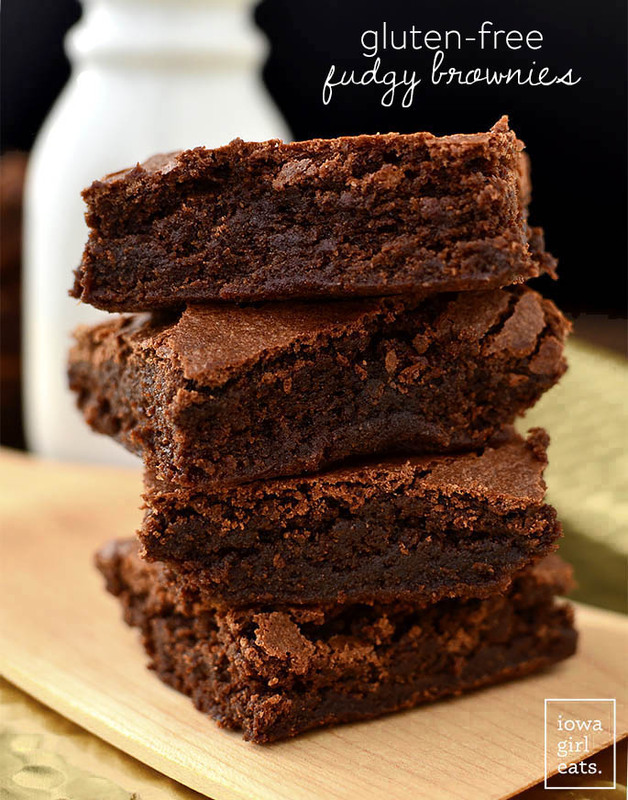 The ULTIMATE gluten-free brownie! These babies are rich, dense, and ultra fudgy. 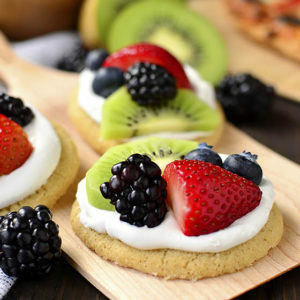 Sprinkle with powdered sugar or use a heart-shaped cookie cutter for a sweet presentation! I’m still thinking about these molten lava cakes studded with peanut butter days after my last bite. 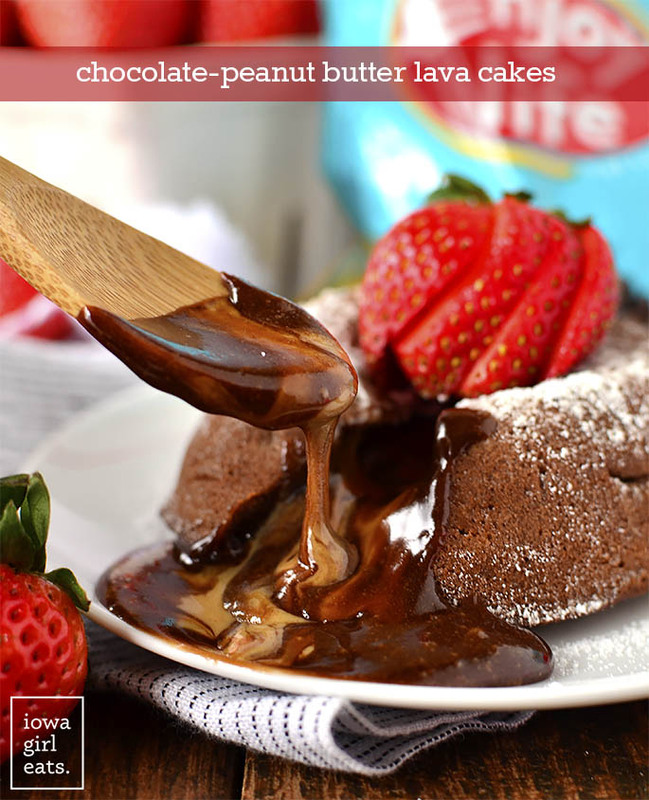 They’re the perfect Valentine’s Day dessert as the recipe makes just enough for two individual-sized cakes. 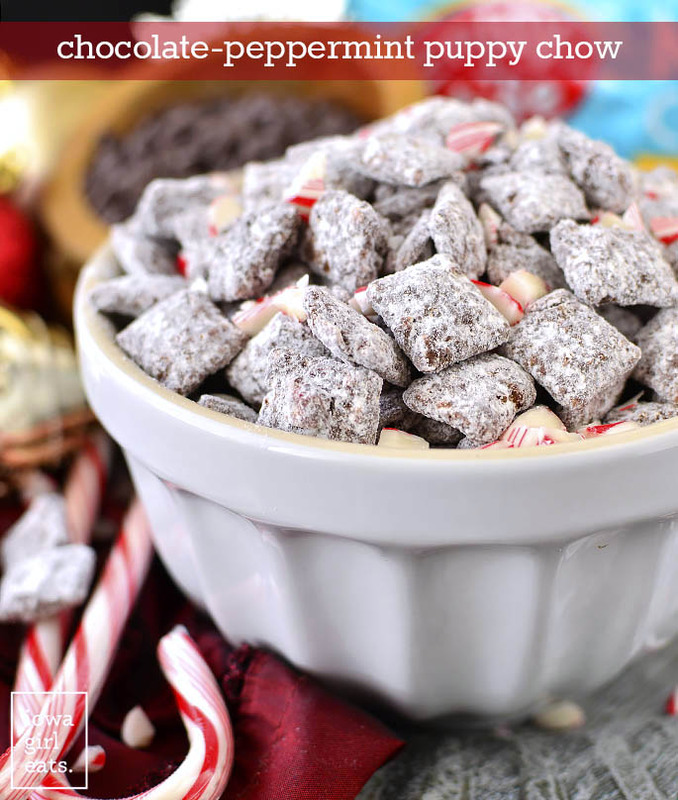 I originally created this recipe for Christmas time, but the color and minty flavor are perfect for Valentine’s Day too. Lincoln and I are making a big batch for his teacher as it packages up and travels nicely (even by way of a 5 year old!) Tip: use round mint candies as there won’t be candy canes in stores right now. 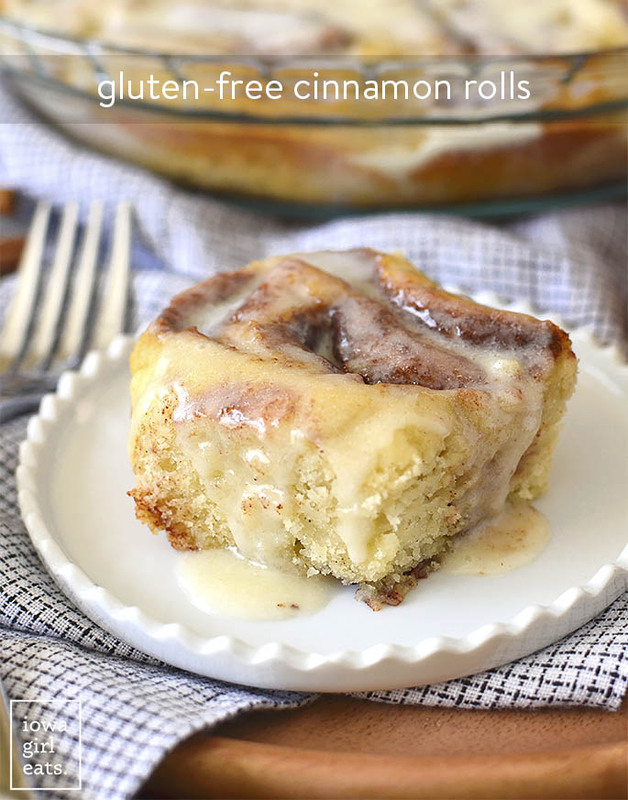 There’s no sweeter way to wake up on Valentine’s Day morning then with a warm pan of Gluten-Free Cinnamon Rolls! 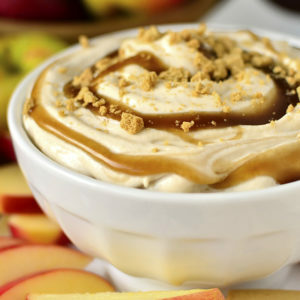 You will fall in love with this recipe. Cookie-decorating party with the kids, anyone? 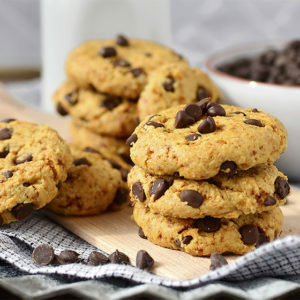 These gluten-free cookies are soft, chewy, and you’d never know they’re gluten-free. 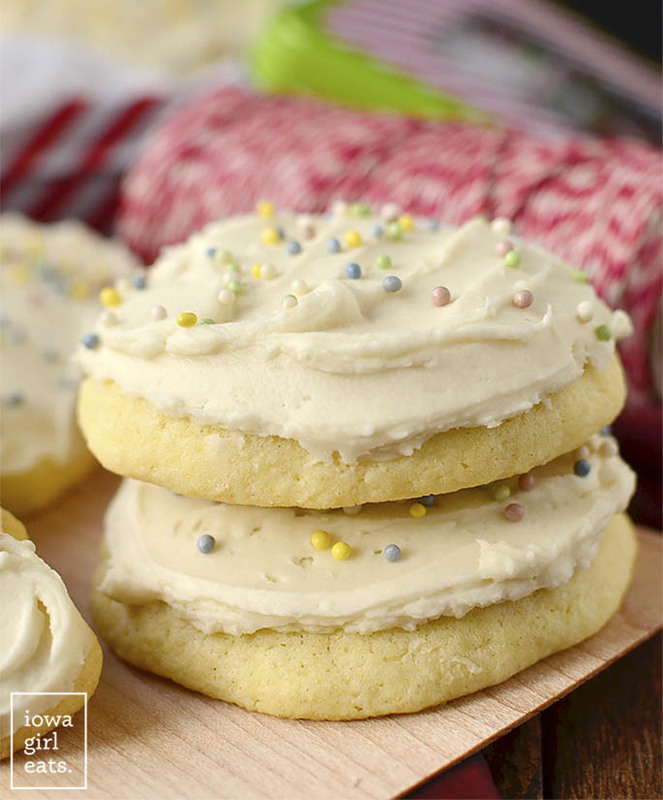 I recommend frosting the tops with Simple Mills vanilla frosting – OMG. 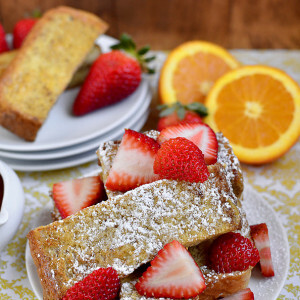 Want to know how to make fresh fruit even better? 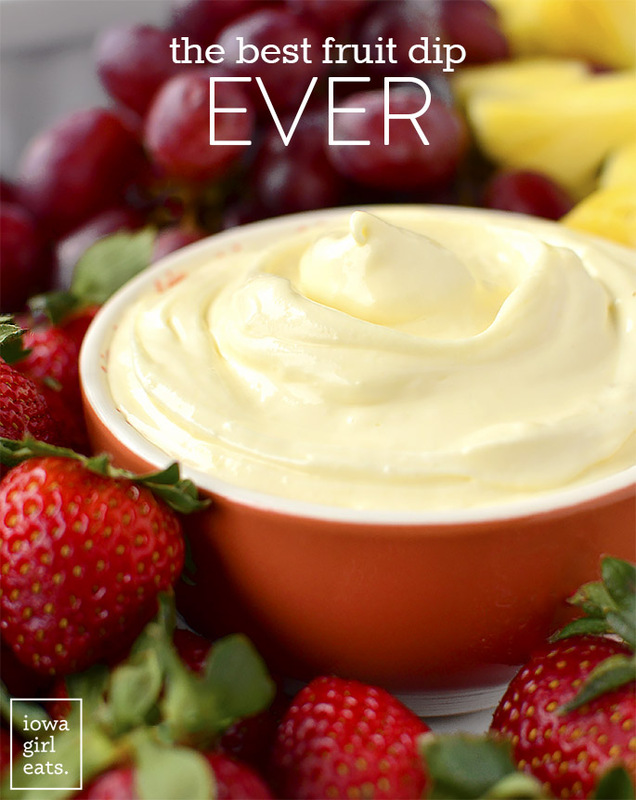 Serve it with this INSANE, three ingredient fruit dip. 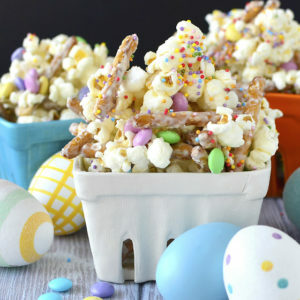 This is another great special occasion treat for kids, especially! 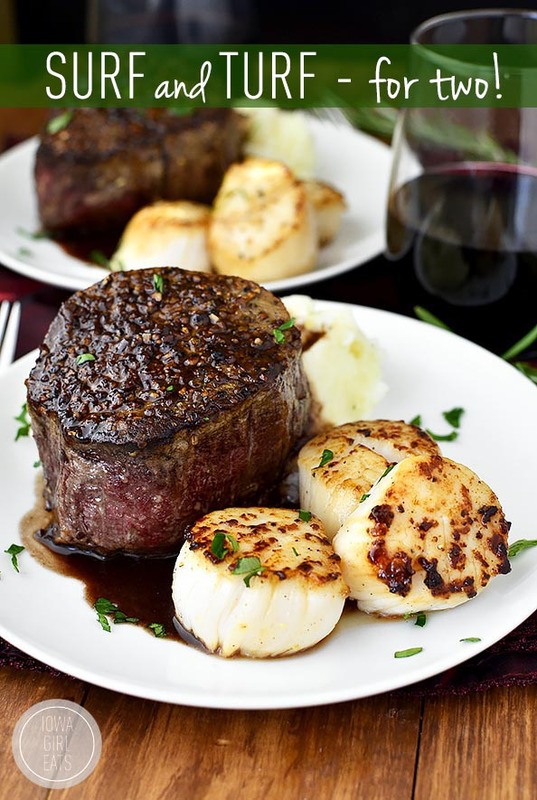 This recipe comes with rave review after rave review – yes, you can make surf and turf at home, too! I break down what cut of steak to get, timing, and everything. 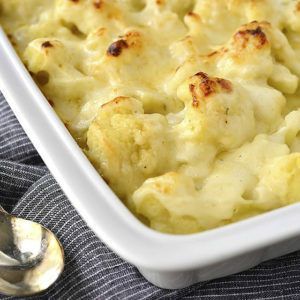 You and your valentine will feel like you’re dining at a fancy restaurant when you dig into this dish. Risotto is a great dish to cook with your Valentine. Pour yourselves a couple glasses of wine then spend some time chatting while stirring the risotto into a dish of creamy deliciousness. 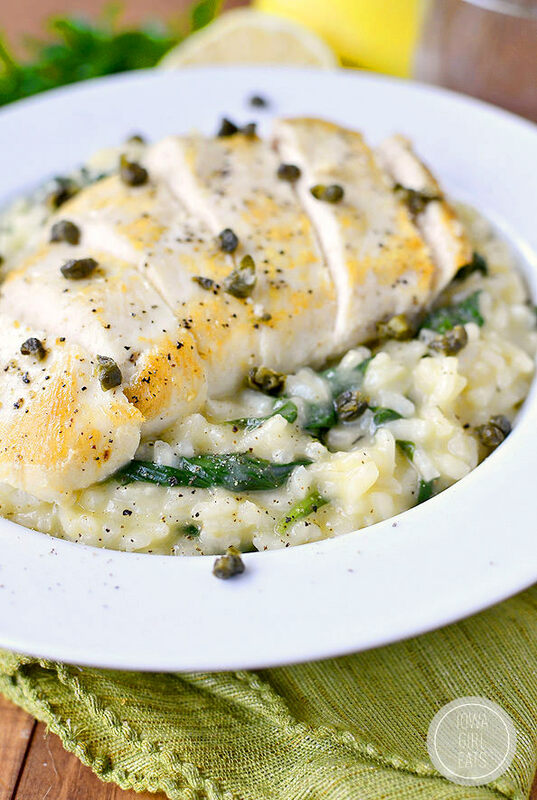 This Chicken Piccata Risotto with Crispy Capers is INSANELY yummy. An oldie yet goodie! 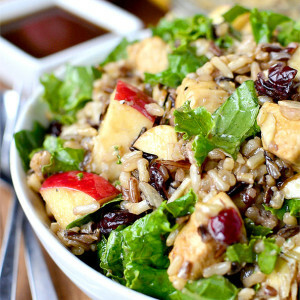 Chicken with Cherry-Wine Pan Sauce continues to be one of my most popular Valentine’s Day recipes, five years after posting it. 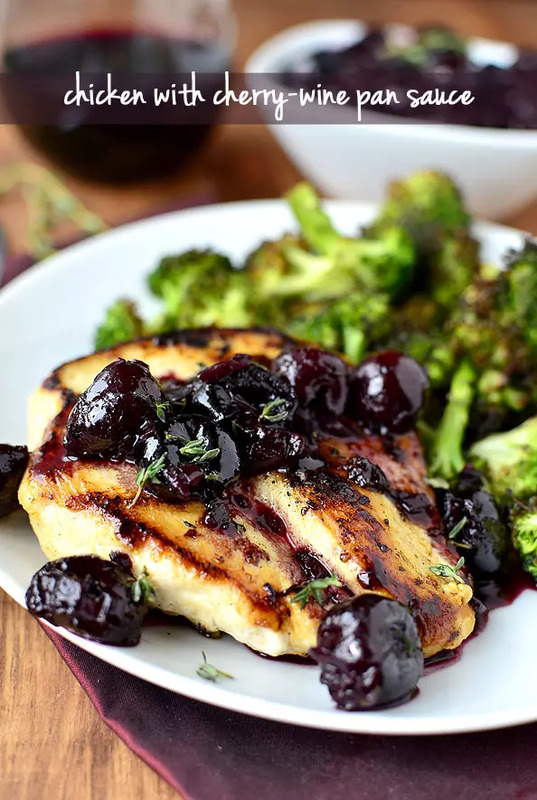 It’s all about that luscious cherry-wine pan sauce – so pretty. 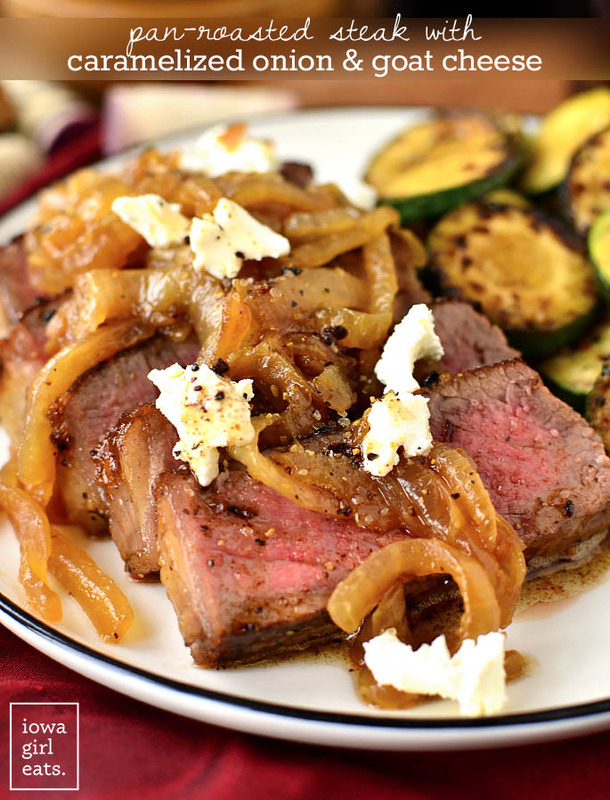 Steak + brown butter + caramelized onions + softened goat cheese = match made in Valentine’s Day heaven! 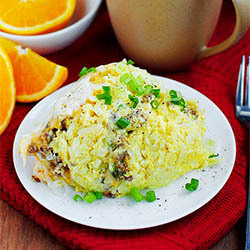 This is another dish that will make you and your mate feel like you’re at a restaurant while staying in the comfort of your own home. Pure decadence! Kombucha loves cocktails – who knew? 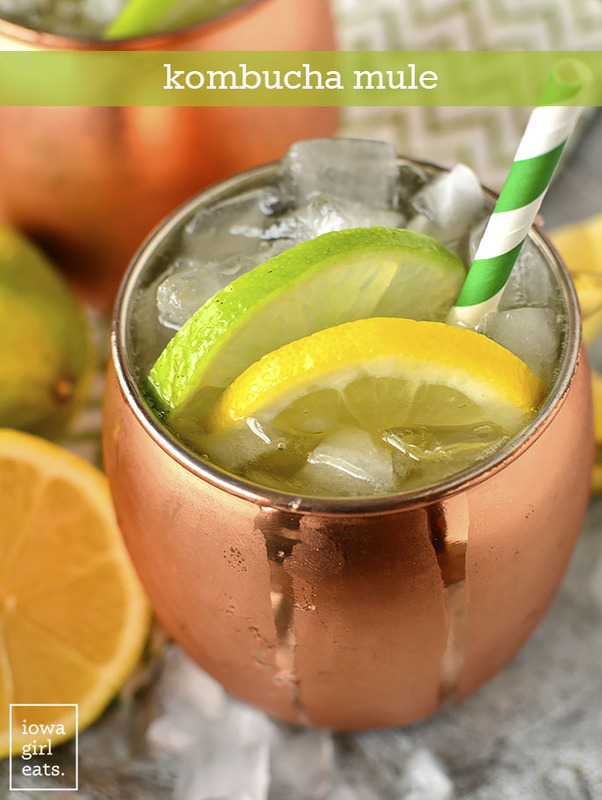 Ben and I both adore this super easy, slightly healthier spin on classic Moscow Mules. Pink colored cocktails for Valentine’s Day? Sold! 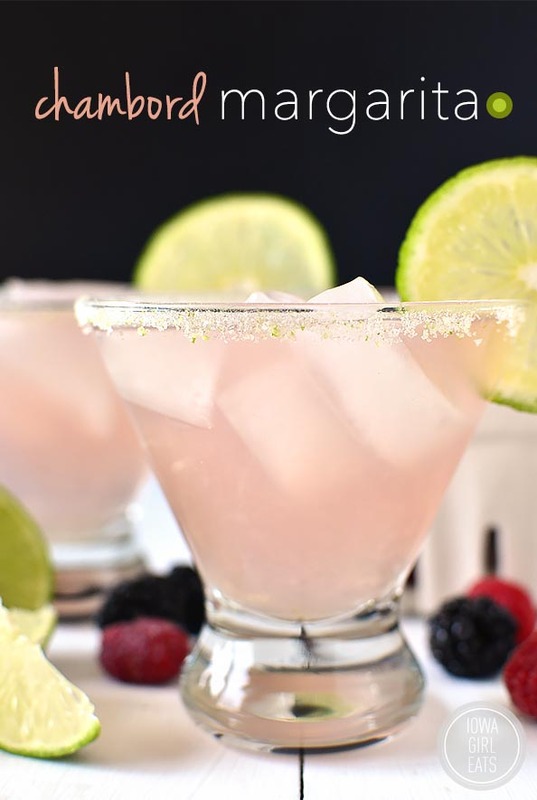 Despite the pretty blush color of these Chambord Margaritas, they aren’t super sweet. Im at home stuck in snow bank as well…just finished Netflix’s, the Bodyguard 6 hours straight…have u seen it? Im late to the party from what ive read on the internet. Richard Madden…wow. just wow. none of my friends are watching TV at the present, and I know u have Netflix…Id like your take on it please. (I feel like we are friends) in my mind :) happy Early valentines Day! THANKS! No, but I hear it’s AWESOME! Need to check that out. ;) Happy Vday to you too! 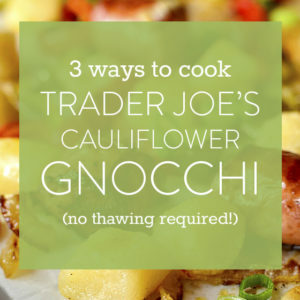 My husband does most of the grocery shopping and cooking (and moves a TON of snow and ice). He typically makes a seafood dinner for Valentine’s Day, and this year, it’s homemade crab cakes. Happy Valentine’s Day! Delicious!! How’d they turn out?